Front and back (3g and 22g) sole weights can be interchanged to adjust shot trajectory and spin. Callaway say it’s a better-players fairway, but an ultra-lightweight crown frees up weight to increase forgiveness. A new 4th generation cup face improves ball speeds and the heads shaping and speed step tech improve aerodynamics. Both our amateur testers hit the GBB Epic Sub Zero driver really well, and in fact it was better suited to them than our test pro. 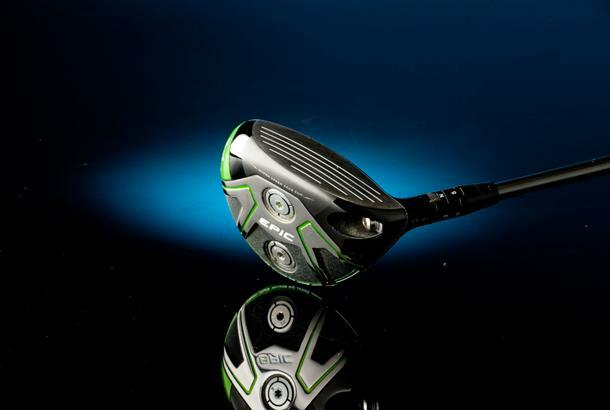 The same thing though can’t be said about the Sub Zero fairway wood. We thought the smaller head (159cc compared to Epic 179cc) although powerful was less forgiving than the standard Epic on off centre hits. Our test pro saw some big ball speed and carry distance drop offs (9mph and 26 yards) between centred shots and those sprayed around the face which obviously isn’t ideal for the average club golfer. In our book there’s absolutely no doubt the Sub Zero has plenty of power under its bonnet when in the right hands. It was one of the lower spinning fairway’s in our test as Callaway had promised. But we reckon you need to be a seriously confident fairway wood player to get the best out of it and launch it successfully off the deck. Lots of club golfers struggle getting fairway woods airborne from the deck which the Sub Zero is certainly not going to help with.